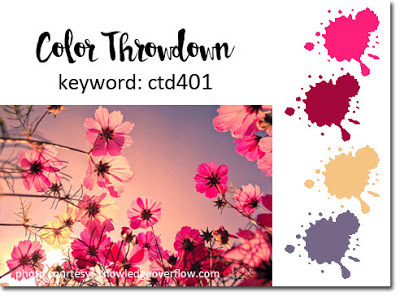 This card is made for the Color Throwdown Challenge. The colours are gorgeous! I have to say they look much darker and less vibrant on the Ipad I use in the craft room. The post stamp and a couple of sequins are peach coloured...hard to tell in the photo. 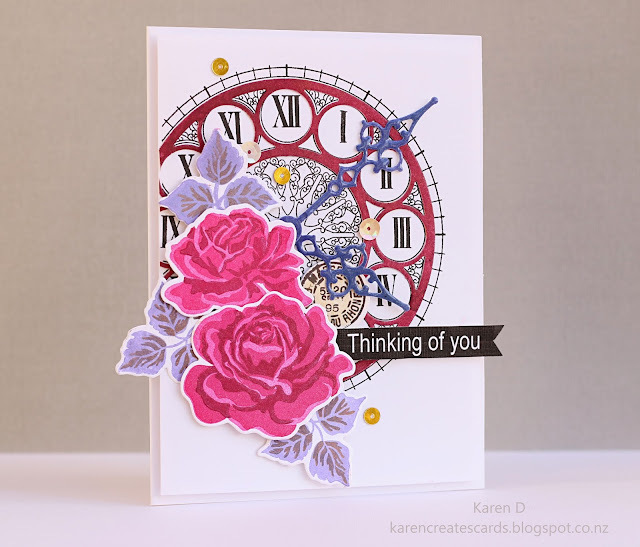 Papertrey Ink - Stamps and Dies 'The Sweet Life' and 'Hands of Time'. This card came with many tears as it is made in memory of our dear sweet Pinty, our little torty (calico) cat who we lost this week. Her mobility had been deteriorating over the last four months due to some sort of neurological issue, maybe caused be Kidney disease. While quietly sleeping in her chair beside us she lost all function in her hind quarters. We had her put to sleep the next day. I am completely heart broken, she was my constant companion for seventeen and a half years, and essentially my child as I never had children. Much more than a cat, she was a smart and loving family member, and we will miss her so much. This is one photo from a set of six I took (using a remote) of the two of us last December. The only photos taken of her and me together. We have many more photos and a few videos to remember her by. RIP my dear wee girl. I am so very sorry for your loss, Karen. Hugs. Our four-legged family is so important to us and my heart hurts for you. The photo of you and Pinty is beautiful as is your beautiful and touching card. So sorry for your loss, Karen! What a beautiful kitty and a long time together. They become our children. Your card is a beauty! Warm hugs. Your card is stunning, but I weep with you at the reason for it. So very sorry to hear of your loss. Sending you hugs and prayers in this time. So very sorry for your loss. Your card is a wonderful tribute to her. What a lovely way to remember a special fur baby. I'm so sorry for your loss. Tears are welling up in my eyes as I read this - I am so sorry for your loss. I love cats so much. I still feel the pain and sadness of losing my beloved Muffin and that was 11 years ago - he was my first cat and my constant companion for 18 wonderful years. Please accept my deepest sympathies. Your card is beautiful, and the photo of the two of you together is precious. Sending hugs, and please take time to grieve your loss. P.S. Thanks so much for stopping by my blog and leaving your sweet comment - I appreciate it very much. So sorry to read about your loss Karen. Thank goodness for beautiful photos like this one to keep memories alive. 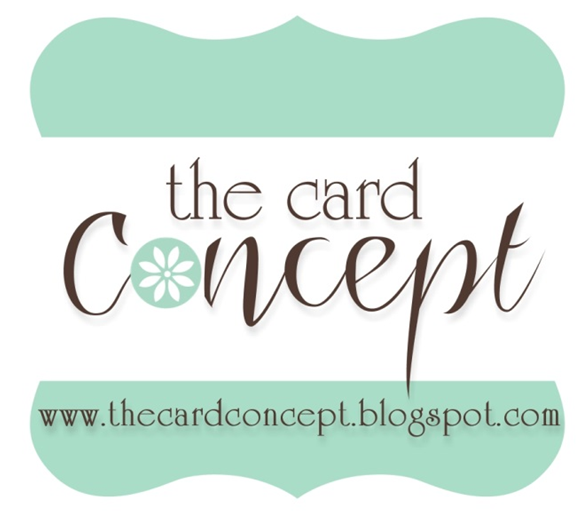 Your card is just a work of art. AS always!